Sometimes it’s the little things that crack me up. 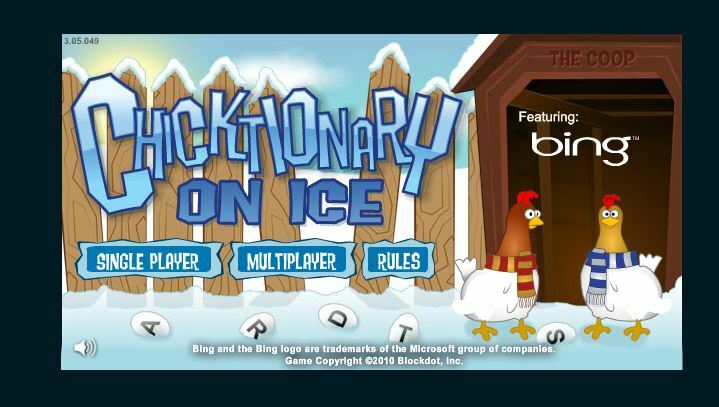 Like how Club Bing’s Chicktionary has a new look. I kinda hope there’s a snowday because the anagram-finding can get ridiculously addictive. This entry was posted in Uncategorized and tagged Chicken Cartoons, gamer chicken, Internet. Bookmark the permalink.